Michaëlle Jean was born in Port-au-Prince, Haiti. She immigrated to Canada with her family in 1968, fleeing the dictatorial regime of the time. After studying comparative literature at the Université de Montréal, she taught Italian in the Université’s Department of Literature and Modern Languages. During her studies, Ms. Jean worked for eight years with Quebec shelters for battered women, while actively contributing to the establishment of a network of emergency shelters throughout Quebec and elsewhere in Canada. She later ventured into journalism and became a highly regarded journalist and anchor of information programs at Radio-Canada television and CBC Newsworld. She is married to Jean-Daniel Lafond and they have a daughter, Marie-Éden. 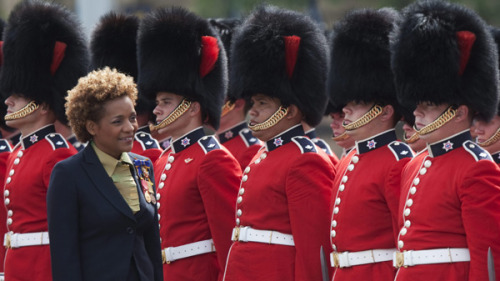 Yeah, it’ll be a long time before we get another Governor General like Michaelle Jean. Are you posting rad women of African decent (as it were), Angry Black Woman? What about Beatrice Mtetwa? 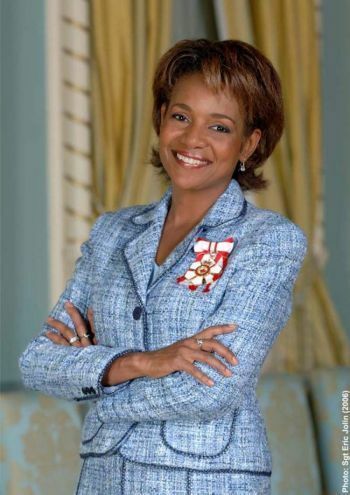 Michaelle Jean was the best GG Canada had.